Easy to get to Loon Mountain offers big-mountain skiing and riding. Loon Mountain features a 2,100-foot vertical drop and 61 trails across three peaks. A large deck off the Paul Bunyan Room is a legendary après hotspot. Choose Loon Mountain for exceptional terrain variety for the entire family, including a full progression of award-winning terrain parks. Share Loon Mountain reviews, comments or add your business, contact us. 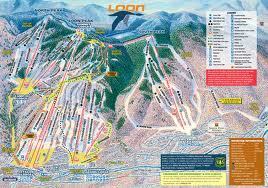 Loon Mountain Ski Area in Lincoln, NH features a gondola, 10 lifts, 1 high-speed detachable quad, 2 triples, 3 doubles, and 1 tow. 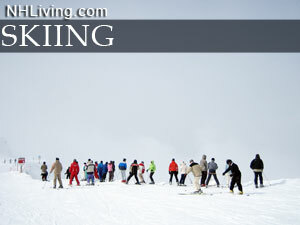 Alpine, nordic & telemark ski, snowboard, snowshoe, and ice skate rentals available. Getting There: Loon mountain ski area is located 66 miles north of Concord, NH, and 130 miles north of Boston, Massachusetts. Take I-93 to exit 32 in New Hampshire, then Route 112 east 4 miles to Loon.